This is a pretty obvious one. When a car first comes out, it is much pricier than it needs to be. Plus, it immediately loses value once you drive it off the lot. There is no reason to bust your budget on a brand new car. If you aren’t interested in buying used (personally, I like lease returns), you can still get a new car if you wait. Many dealers end up selling off never-driven cars when the new models start coming in. Wait until one of these sales; you may save some money. Anyone who has stood in line, waiting to get the latest imobile device knows that within a couple months of the release the price drops significantly. Swearing often ensues. It’s even worse when you buy the first generation, since Apple tends to make much better improvements with the second generation. My husband and I would like an iPad eventually, but we’re waiting. Sure, the iPad 2 is already out. 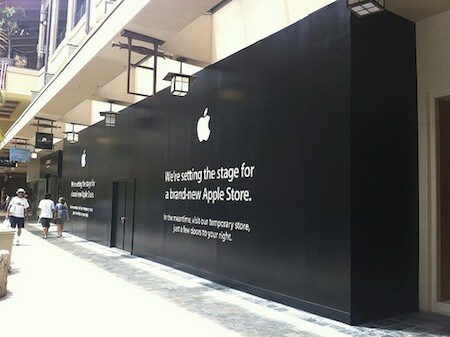 And when the next generation iPad comes out, the two Apple stores in town will be slashing prices on the iPad 2. Then we’ll buy. When the PS3 was released, there were a limited number of them. People (including a family friend) were paying $700 to get a somewhat buggy version of this game console from online sellers. However, after the holiday season passed, and more were produced, it became possible to get a PS3 for $250. We still have it, a few years later, and we’re just waiting for it to die before we get a fancy new “slim” version. The truth is that video game consoles, whether we’re talking about the Wii, Xbox, or PS3, always drop in price — and usually fairly quickly. There’s no reason to spend more if you are willing to wait. How many of us really need the latest computer? Most of us can get by with the severely “outdated” machines that came out two or three years ago. So why purchase the latest version of a computer? Wait six to 12 months, and there will be discounts on models that are still more than adequate for your needs. I’m typing this on a “last year’s” Apple I bought, with a rather good discount, almost three years ago. Flat screen, nice keyboard, everything I need. I just updated the OS a year ago, and it all works fine. This scenario can be true of any computer, laptop or netbook that you might want to buy. Why Are You Buying at Launch? The real question you should ask yourself is this: Why are you buying at launch? Consider your motivations. Many people like to be seen as “early adopters”, or to show that they can afford to get something immediately. If status is important to you, or if you are in a position where having the latest gadget is a requirement, it might be worth it to pay the extra. But if you are more interested in saving some money, it’s probably better just to wait. Apple doesn’t discount iPads unless thyey are used and refurbished. @Dave: It’s still a discount 😉 Also, the price is likely to come down on the iPad in the future. What you mention in this post generally holds true for consumer electronics. You can always wait and you can always buy the previous version cheaper. But by the same argument you can wait a little longer, and get it even more cheaper. Its hard to draw the line….. It all depends if you’re an early adopter or not…a lot of people buy/upgrade consumer elec devices for the thrill of the new and the first and the latest.